I used to be an avid reader. Then I became an avid knitter and that turned me into a slacker reader because you cannot knit while you are reading. I have become an avid knitter and TV watcher combo. As now is the time for resolutions, I felt I should bring more books into my life. I’m a fan of Laura’s Circle of Pine Trees blog and her Year in Books project, so I thought it would be good thing for me to join in this year. The project is sort of a flexible book club where the goal is to read at least one book a month during the year and share thoughts about it. I’m going to try to follow Laura’s example of holding to book buying from independent bookstores, thrift shops or borrowing from the library. 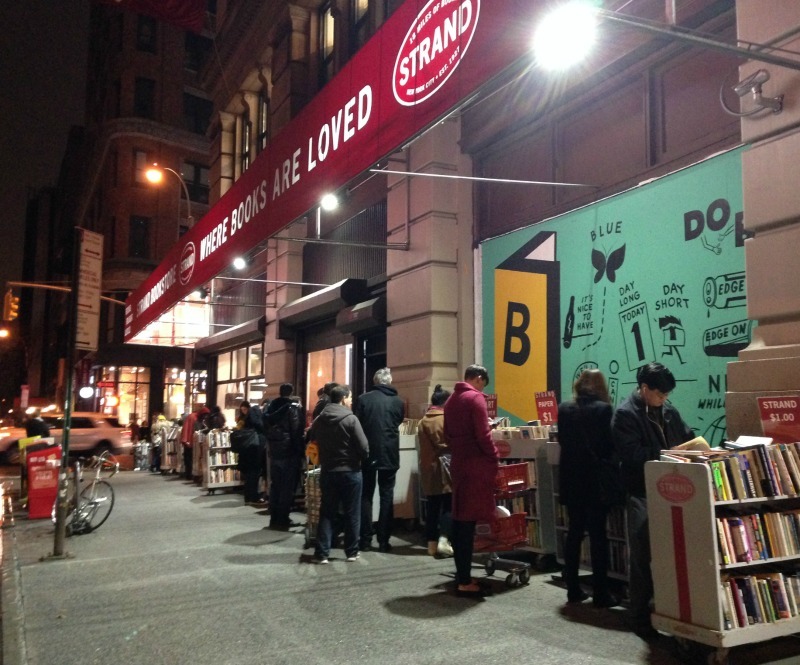 So my start was to pick up the book Laura is going to read for January titled “There but for The” written by Ali Smith at the Strand Bookstore in lower Manhattan, a bustling jewel of a bookstore. 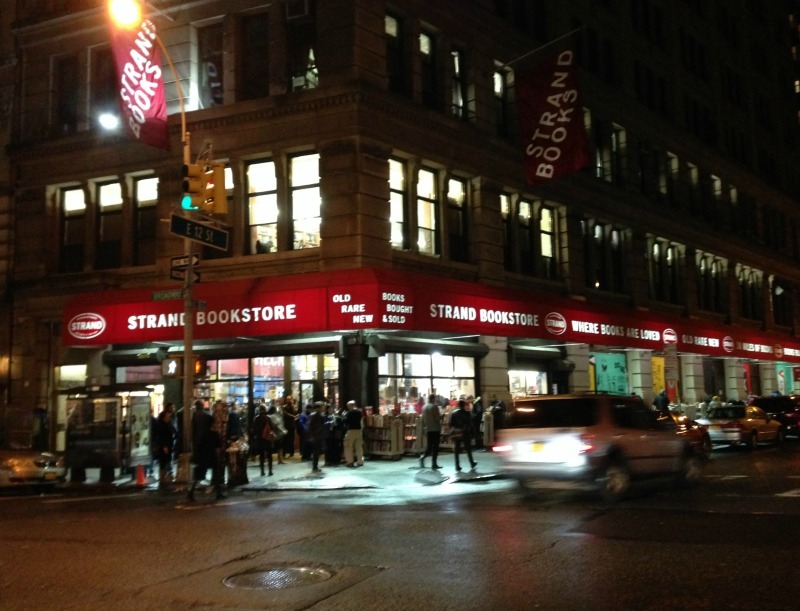 This entry was posted in family life and tagged independent bookstores, strand bookstore, year in books project by ileana. Bookmark the permalink. thanks James – Happy New Year! Wow. A jewel of a bookstore indeed. I gave books this Christmas, all but one of which came from a bookshop. It’s more expensive that buying them online but I fear that if we don’t use our bookshops we may very well lose them. I’m signing up for The Year in Books project too. I look forward to hearing what you make of Ali Smith’s ‘There but for the’. I read and enjoyed ‘The Accidental’ a few years ago but have not picked up any others she’s written. Hello Gaij, This will be the first time I read anything by this author. I hope I like it. I too feel the same way about bookshops. It is so much more fun to walk around and browse books that are on display in person. I’m looking forward to participating in this project. I think I need to move! Bookshops like the one you show are rare in my part of the world. I combine knitting with audiobooks, works a treat but audiobooks can’t normally be bought second hand. Thanks for visiting Christina. Can you get audible.com in the UK? It is a subscription service for audiobooks that my daughter and I like. I find myself easily distracted with audiobooks so I think that this project will be a good one to get back to the discipline of reading paper books. I saw you mention this on Instagram and I LOVE it! What a wonderful idea. My reading is limited to right before bed, so not as much, clearly, as I’d like, but you’re inspiring me. I’m looking forward to loads of good recommendations! What an amazing bookshop. 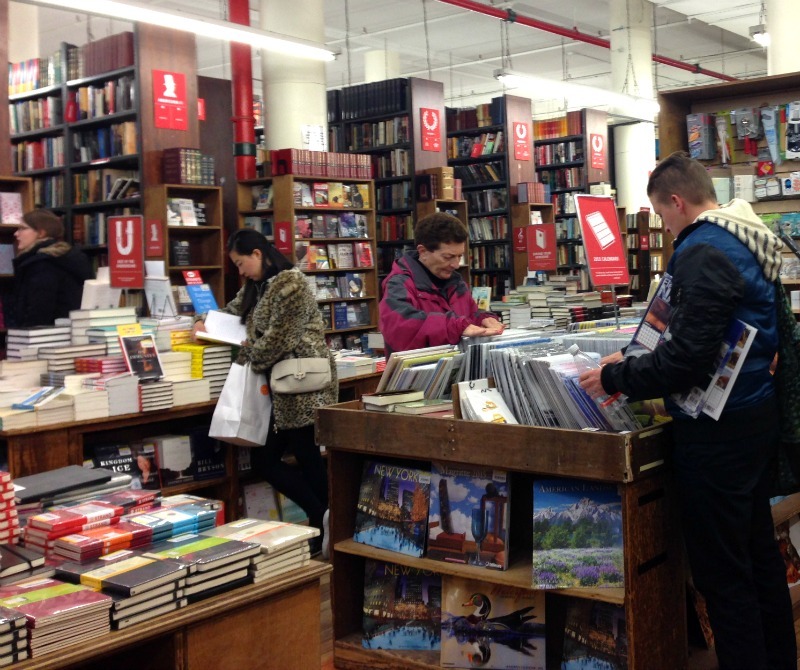 We have a big secondhand bookshop near us but it is not that big, I would get lost in that shop! I look forward ito hearing what you think of the book!